Then I started to make the wall, which I wanted the BG to be gray with simple touches. I wanted to make the wall very simple. I had no idea what to make 'til I came across this texture. and I really like this texture,so I started vectoring the some parts of it. I'm not sure about the lines, I even vectored them twice 'cause I wasn't sure about them. 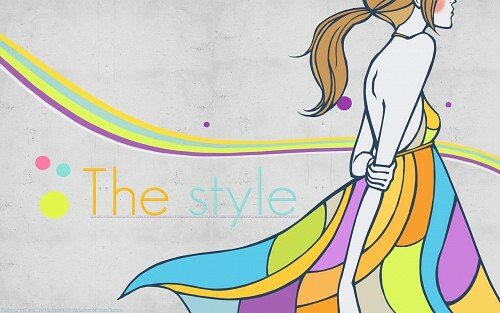 And, since the girl's dress is really unique, all what I could think of was fashion, design, magazine's cover...etc. That's why I wrote 'The Style' which is taken from a Korean drama I'm watching currently. it's about clothes' designers. Please tell me if there's anything I should fix. 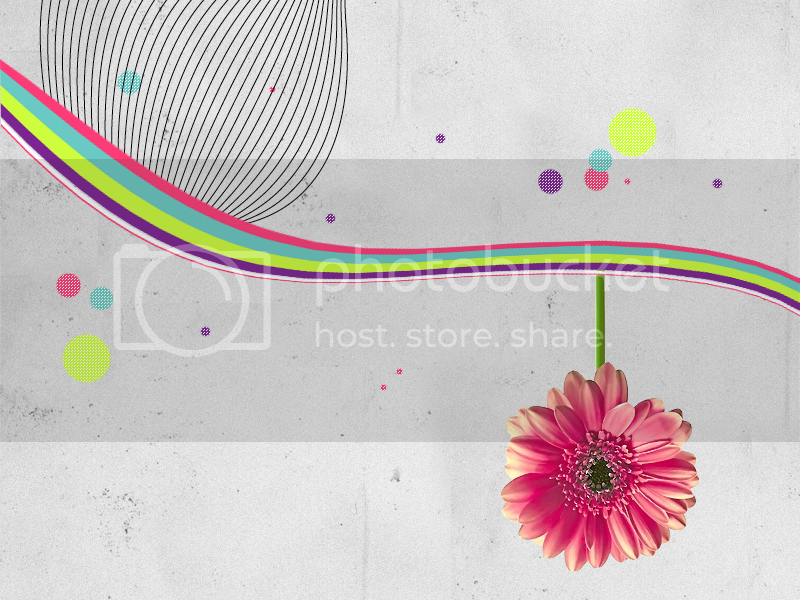 I love the simplicity of the image and the vibrancy of the colors! Simpley, Clean vector and nice colors!